The potential federal judge was known online as BamainBoston. 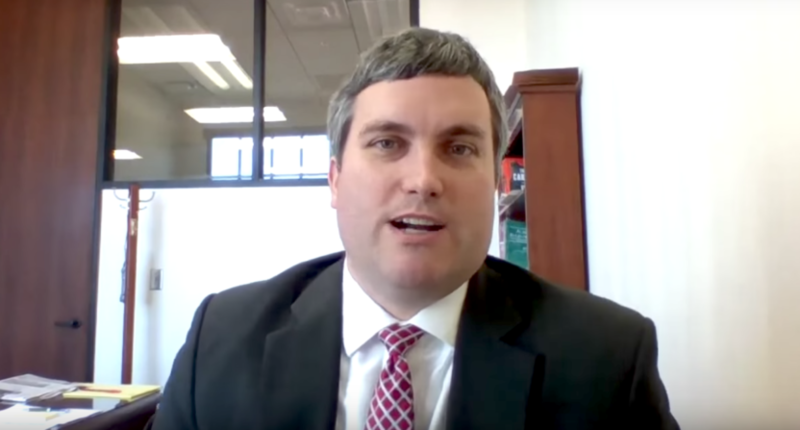 A Donald Trump judicial nominee is catching a bit of criticism for, of all things, failing to disclose to the Senate that he regularly posted on an Alabama football message board. According to BuzzFeed, Brett Talley posted prolifically on TideFans.com about gun control, immigration and, yes, Alabama football from 2005 to at least 2014, under the username BamainBoston. His profile identifies him as being a member of the BamaNation Hall of Fame, indicating high activity on the site. He may or may not have been obligated to report these postings, some of which he apparently went back to edit in January, on the questionnaire he submitted to the Senate, along with the rest of his published writings. BuzzFeed seems to have identified Talley’s account through a 2012 post in which he bragged about having been profiled in The Washington Post. The White House’s defense of Talley went about as you would expect. In an email to BuzzFeed News, White House spokesperson Hogan Gidley disputed that posts on a message board had to be disclosed to the Senate Judiciary Committee. “The Senate Judiciary Committee questionnaire asks for published writings and public statements — not everything that’s ever been typed on a keyboard. Alabama football fans’ internet message board conversations are not deemed ‘published writings’, ‘public statements’, or ‘published material;’ nor are they deemed the equivalent of ‘books’, ‘articles’, or ‘reports,'” Gidley wrote. Whether or not message board posts count as published writings in a Senate questionnaire is a question for someone with a law degree, but we find it highly amusing that a potential federal judge is also that dude on the sports message board who wants to talk about politics all the time. Trump’s nomination of Talley has come under fire due to the prospective judge’s apparent lack of qualification. The New York Times reported Monday that Talley also failed to disclose that he is married to a lawyer in the White House counsel’s office. Talley may soon be an extremely powerful man, but we will always know him as BamainBoston.